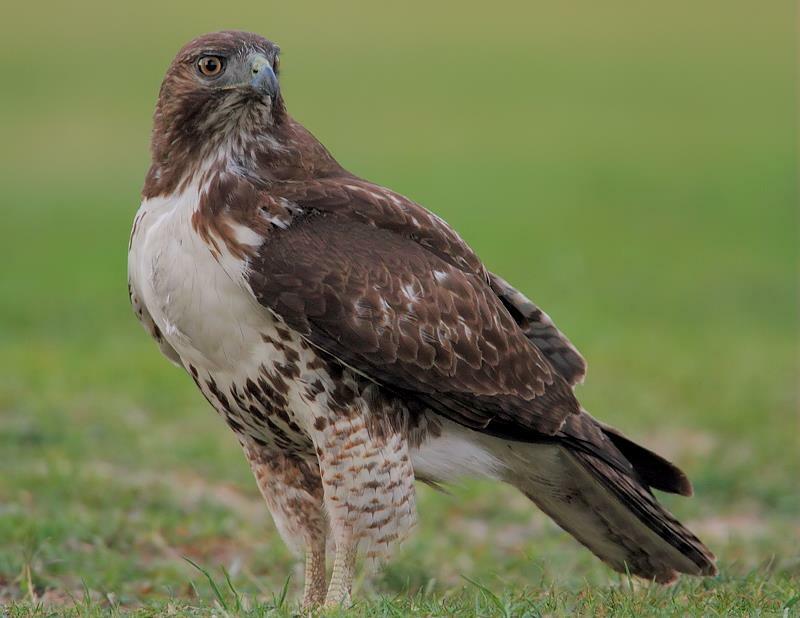 The country's most famous Red-tailed Hawk! 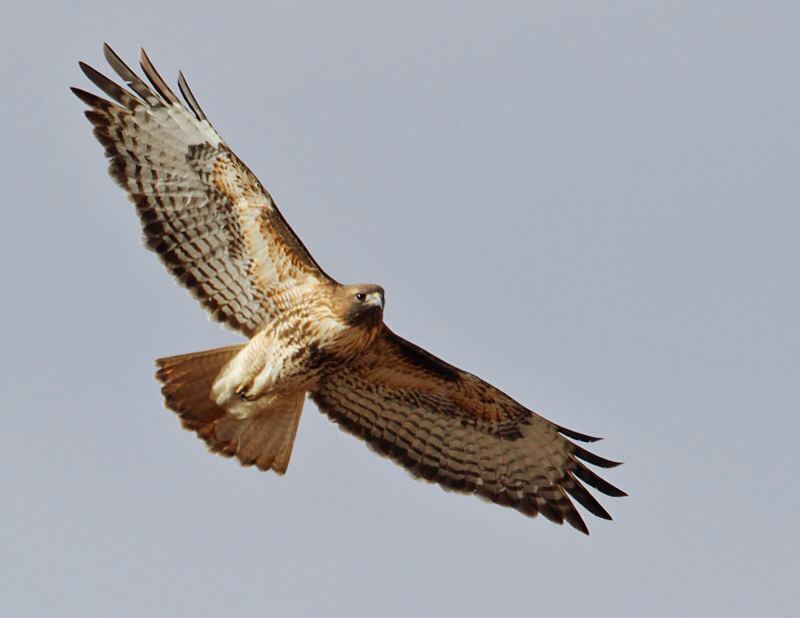 In New York City's Central Park, you can see the country's most famous Red-tailed Hawk. He's named Pale Male because of his unusually light coloring. And he has a multi-million-dollar view from his nest on a co-op building above Fifth Avenue. Pale Male first set up housekeeping in this high-rent neighborhood in 1992, and he's been living off pigeons and producing young, off and on, ever since. He's 22 years old, and he has out-lived five of his mates. Last February, his most recent mate consumed a poisoned rat and died. Rat poison is a real problem for these birds and others! We’re at the Boat Pond in New York City’s Central Park, to meet an individual who enjoys a million dollar view from his home atop a co-op building on 5th Avenue. 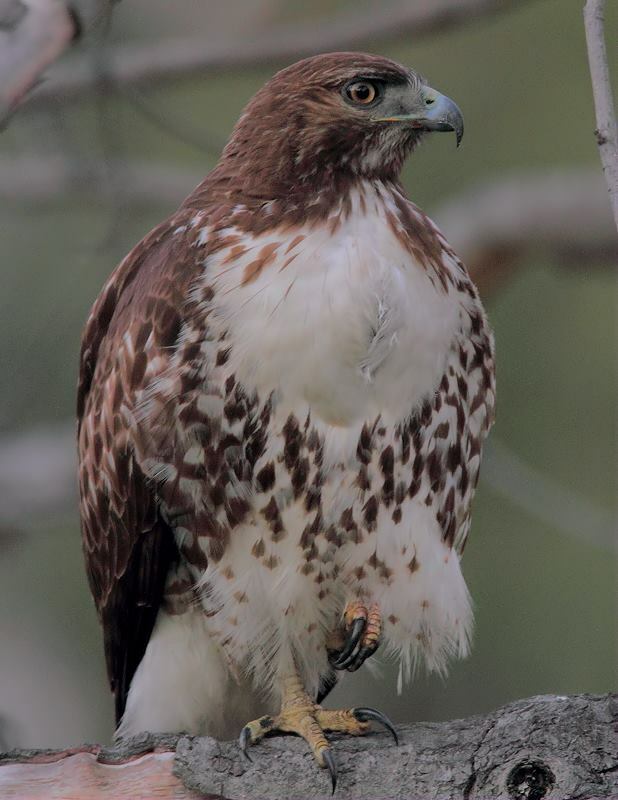 It’s the country’s most famous Red-tailed Hawk – Pale Male. Imaginatively named because he’s: [a] unusually pale and [b] male. Bird-lovers in New York City keep close tabs on Pale Male. Books have been written about him, blogs track his every doing. Each day, spotting scopes and cameras follow him all around his domain. And he’s a remarkably resilient fellow. Pale Male first set up house in this high-rent neighborhood in 1992, two years after he hatched. He’s been living off pigeons and other city wildlife, producing young off and on, ever since. In a city that holds many dangers for birds, Pale Male has out-lived several mates. One bird, Chocolate, died after a collision with a car. First Love died after eating a poisoned pigeon. 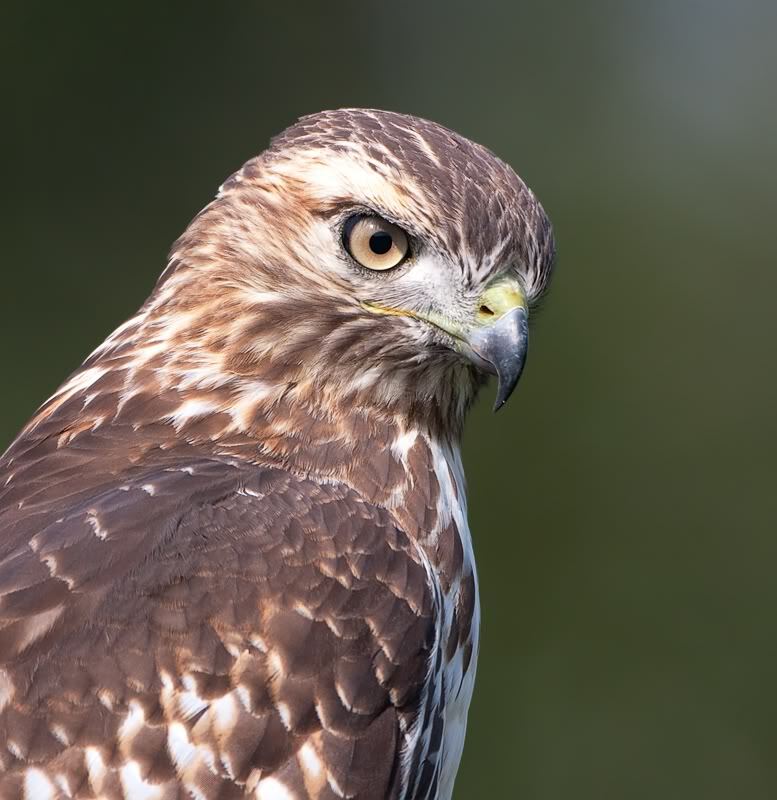 Others perhaps ate poisoned rats, a real problem for urban birds. Yet still, in 2013 and 2014, Pale Male nested successfully with Octavia, his eighth mate. 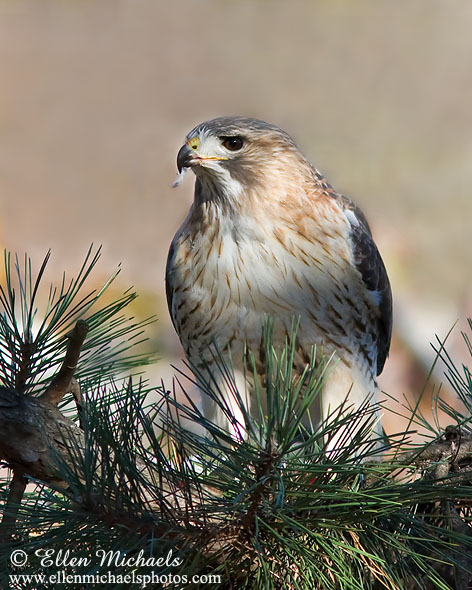 Learn more about Pale Male – and the problem of rat poison for these birds and others – at our website, BirdNote.org. Sounds of Central Park ambient taken from track 100776 Red-bellied Woodpecker 100776 track, and “kyeer” call of Red-tailed Hawk 100776 recorded by L.J. Peyton, provided by The Macaulay Library of Natural Sounds at the Cornell Lab of Ornithology, Ithaca, New York. Birders talking MIIIT87 recorded by C. Peterson. And generic city ambient sounds used. Review of Marie Winn's "Red-tails in Love"